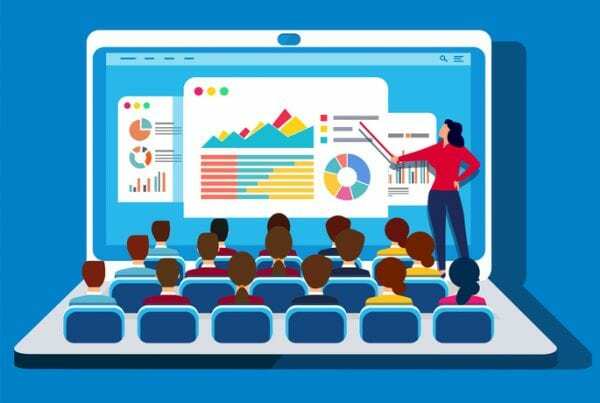 Learning Management Systems can get your SMB off to a successful start by deploying valuable online training resources for your staff. In this article, I’ll share 8 insider tips to choose the ideal extended enterprise LMS for your budding business. Learning Management Systems aren’t just for Fortune 500 companies with big budgets and a worldwide workforce. In fact, even small start-ups can benefit from LMS platforms that help you develop, deploy, and track online training initiatives. But how do you know which system is right for your new organization? Here are 8 top tips to select the best Extended Enterprise LMS for your start-up. Determine who you need to train and how the LMS is going to help you achieve the learning objectives. Specify which members of your staff or departments require online training resources. For example, are you going to launch a consumer training program? Do your remote sales teams need constant access to reference materials? After you identify these target groups, determine how the Extended Enterprise LMS will be used to fulfill their requirements. This allows you to choose a system that aligns with your needs and lives up to expectations. An LMS budget can help you immediately eliminate from your list certain LMS platforms that are out of your price range, as well as add new options that are specifically designed for start-ups with limited resources. For example, subscription-based systems that don’t involve high initial costs and allow you to pay on a monthly basis. Consider all expenses involved, including upkeep and update fees. In addition, think about how the LMS platform will scale with your expanding organization and if that involves additional fees. For instance, you need to purchase add-ons or upgrades to make it more functional for larger teams. Many LMS vendors offer free trials and demos so that you can try before you buy. Invite your L&D team and a select group of extended partners to test out the system. For instance, a handful of people from your sales team who will use the tool on the road to brush up on product knowledge. Pay close attention to the features, functionality, and User Interface during the free trial. Don’t hesitate to ask the LMS vendor questions after the fact to clarify issues you have with the software. You may even want to demo several Learning Management Systems to ensure that you’re making the right choice. If you have a lengthy list of questions, think about setting up a meeting the LMS vendor. You probably already have a good idea of what your new Extended Enterprise LMS needs to have to warrant the investment. But you should still create a list of L&D must-haves so that you can weigh the pros and cons of each system. For example, one LMS platform may have impressive features, just not thefeatures you need to achieve your goals. Have this list on hand during the free demo and use it as a basis for your evaluation criteria. Your extended sales channels and external partners need easily accessible online training resources. In most cases, they are working remotely and can only use their mobile devices. As such, your LMS should be responsive and multiplatform-friendly. They must have the opportunity to get the information they need whenever, wherever. For instance, before meeting with a client to promote a new product or service. This also allows them to access compliance resources for quick reference, thereby reducing the risk of costly violations. External partners and consumers who log into the LMS platform should immediately see branding elements, such as your logo, color scheme, and messaging. Even the graphics and fonts must reflect who you are and the image you’re trying to convey. Therefore, the Extended Enterprise LMS needs to have customization and branding features that allow you to tailor the platform to your identity. This also applies to the User Interface. For instance, your L&D team is able to personalize the dashboard to accommodate their preferences. Most start-ups don’t have the resources for a dedicated IT team who can troubleshoot tech issues. Thus, you need to test out the LMS vendor’s support services to ensure that they can accommodate your needs. Submit trouble tickets and send emails to their tech experts. See how quickly they respond and how knowledgeable they are about the system’s features. You can also check out their online community to determine if it may be of use in the future. For instance, they have an active community of users who share tips and personal experiences using the tool, or a comprehensive FAQ or online training library. When in doubt, ask directly about which support services they provide and if it involves an additional cost. Some LMS vendors include this in the normal pricing plan, while others charge extra for advanced support options. Your start-up must be able to track online training initiatives and partner performance. This not only helps you gauge the effectiveness of your online training strategy but also to ensure that you’re getting a significant return on your LMS investment. Thus, your system should have sufficient reporting features to help you monitor every aspect of your online training program. It’s also wise to choose an LMS with customizable reports so that you can focus on specific online training indicators. This is yet another criterion to consider during a free trial. These 8 tips can help you pick the perfect Extended Enterprise LMS platform and avoid trial-and-error. Because let’s face it, start-ups don’t have much room in their budget for buyer’s remorse. Just remember to take advantage of free demos and develop evaluation criteria so that you know what to look for. Have you created a requirement list for your new LMS platform? Download the free eBook How To Buy The Right LMS: The Complete Guide to find out the top criteria for choosing the best LMS for your organization having all possible LMS hidden fees in mind.